At our dental practice, we don’t want you to feel pressured into undergoing a treatment or procedure with us. We believe a happy patient is an informed patient, which is why we’re proud to offer the time and support of our treatment co-ordinators. 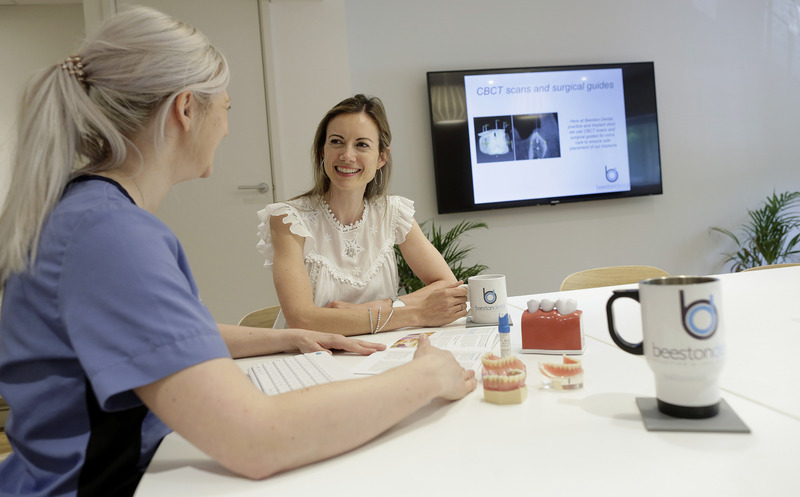 A treatment co-ordinator is a dedicated dental nurse trained to give you the support and advice you need to make decisions regarding potential treatments. Sessions with treatment co-ordinators are held in a dedicated meeting room. Trained dental professionals there to advise, recommend, and guide. Ascertain whether a treatment is or isn’t right for you. All appointments are free of charge. It can be difficult which treatment or procedure is or isn’t suitable for you, so our treatment co-ordinators are here to help you decide. They provide impartial advice that is honest and candid, their first and only priority to fit your best interests. You can have as many appointments as you feel necessary, and they’re all entirely free. Treatment co-ordinators are perfect for nervous patients who may be experiencing nerves before a check-up or before a procedure. At your treatment co-ordinator appointment, you can not only receive advice and reassurance, but also find the answers to any questions you might have. This means you can enter any treatment equipped with knowledge, comfort, and confidence. I’ve never been so relaxed. Why would I need a treatment co-ordinator appointment? They’re useful for those considering a treatment but don’t know whether it’s really the right decision for them. This means that if you’re considering a dental implant but want to find out more, for example, you can discuss this at a treatment co-ordinator appointment. You can also receive impartial advice, honest recommendations, and guidance on what is (or isn’t) the best option for you. Why is a treatment co-ordinator appointment useful for nervous patients? When you’re nervous about the dentist and put off your appointments, you risk damaging your dental health and avoiding detection of worrying conditions. A treatment co-ordinator is a trained professional there to make you feel more comfortable and confident in our care. You can find out all about us and our procedures to put your mind at ease. Can I still see a treatment co-ordinator as an NHS patient? Of course, this service isn’t just limited to our private patients. All patients, public or private, new or old, are welcome to a treatment co-ordinator appointment.